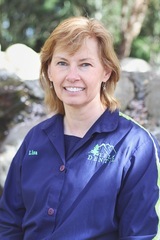 I am a Registered Dental Hygienist having graduated from Clark College in Vancouver, Washington in 1991. 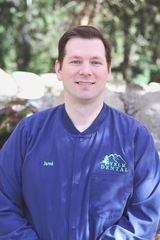 I have worked in the dentistry field since I was 17 years old. I started as a dental assistant, then receptionist until finally settling into dental hygiene. I have recently married the man of my dreams. Along with my two boys, I've now added four more! We enjoy traveling and watching High School basketball games. Working with Dr. Kay and Dr. Smith has been a wonderful experience. I have been given the chance to work with the latest technology and supportive staff. I have been working as a hygienist full time since I graduated from the Clark College dental hygiene program with honors in 2003. I continue to study the newest developments in oral hygiene and I enjoy sharing this knowledge with my patients. If you have a question about your dental hygiene I will be happy to answer it. However, I understand that sometimes you just want to sit in the chair and sleep. In that case, I can be very quiet and avoid giving unsolicited advice. My hobbies include tennis, water and snow skiing, reading sci-fi/ and fantasy books, and watching sic-fi movies. My greatest joy is at home with my family. I have been married to my wife Amye since 1997 and we have four children. It has been my privilege and pleasure to practice dental hygiene. It combines both my love and appreciation for others as well as a decidedly nerdish passion for evidence based treatment planning and patient care. 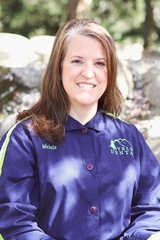 I count my association with Yelm Dental as one of the many blessings in my life and have been part of the team since 2007. I graduated from Pierce College in 2003 with my Associate of Science in Dental Hygiene and continued to completion of a Bachelor of Science from Eastern Washington University. Yelm is my home, along with two small dogs, a clutch of chickens and my spouse. We enjoy being a part of the community. 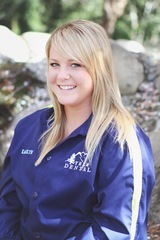 Welcome Kaitlyn our newest Hygienist!